If you are in need of a great bail bonds service in Lancaster, VA, look no further than A-1 Bail Bonding Agency Inc. For many years we have offered bail bonds to help our clients in need. We know that having a loved one in jail can be confusing, which is why we stand by our clients and explain all of their options to them. 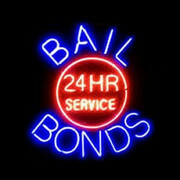 When you or a friend need a bondsman in Lancaster, VA, call on A-1 Bail Bonding Agency Inc. today, we're here to help! A-1 Bail Bonding Agency Inc © All Rights Reserved.